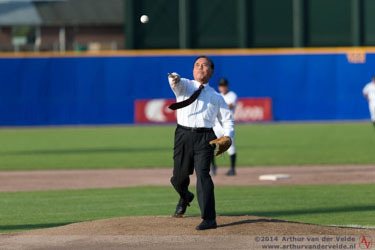 First pitch thrown by the Japanese Ambassador Masaru Tsuji. Prior to that, an impressive minute of silence in honour of the victims of the air disaster was held. 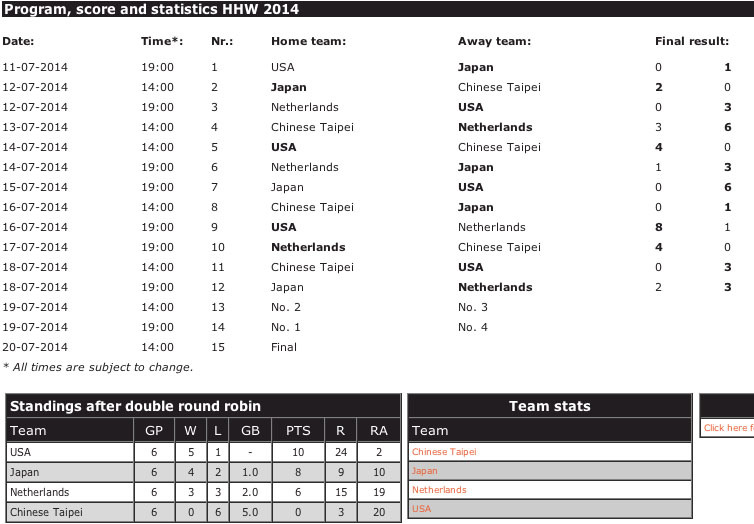 HAARLEM, The Netherlands - The USA Baseball Collegiate National Team posted yet another shutout, its fifth in the last seven games, as it cruised past Chinese Taipei, 3-0, in the final game of the double round-robin portion of Honkbal Week at Pim Mulier Stadium on Friday.